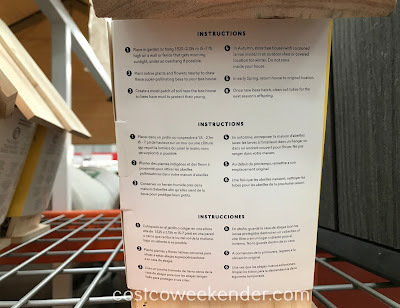 If you're looking for a new activity or even a pet without the commitment, you way want to take up bee keeping. With the Bambeco Swiss Alps Bee House, you can do just that. It'll be like having a whole bunch of bees as pets. 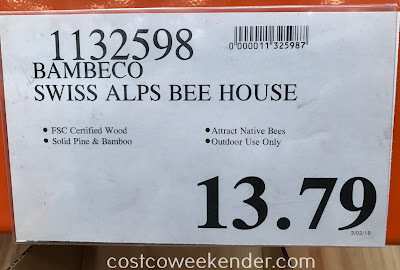 The Bambeco Swiss Alps Bee House lets you have some bees which is great for your backyard. The bees help in the pollination of flowers making your backyard look like the royal gardens. 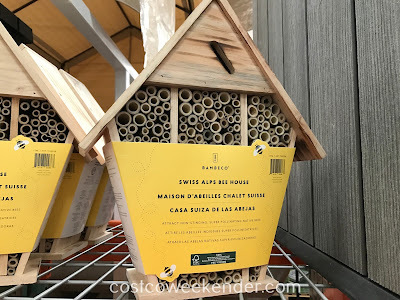 Bambeco Swiss Alps Bee House lets you try something new in case you want to take on a new hobby. You'll find that it's both fun and rewarding. About 30% of the human food supply and 90% of wild plants depend on pollination from bees, the majority of which are native bees. Because their sole focus is pollination, native bees do not produce honey or beeswax - and they make friendly neighbors, as they are not aggressive! 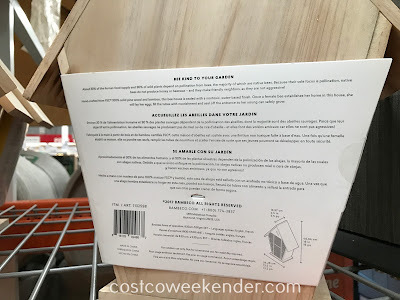 Hand-crafted from FSC 100% solid pine wood and bamboo, this bee house is sealed with a nontoxic, water-based finish. Once a female bee establishes her home in this house, she will lay her eggs, fill the tubes with nourishment and seal off the entrance so her young can safely grow.